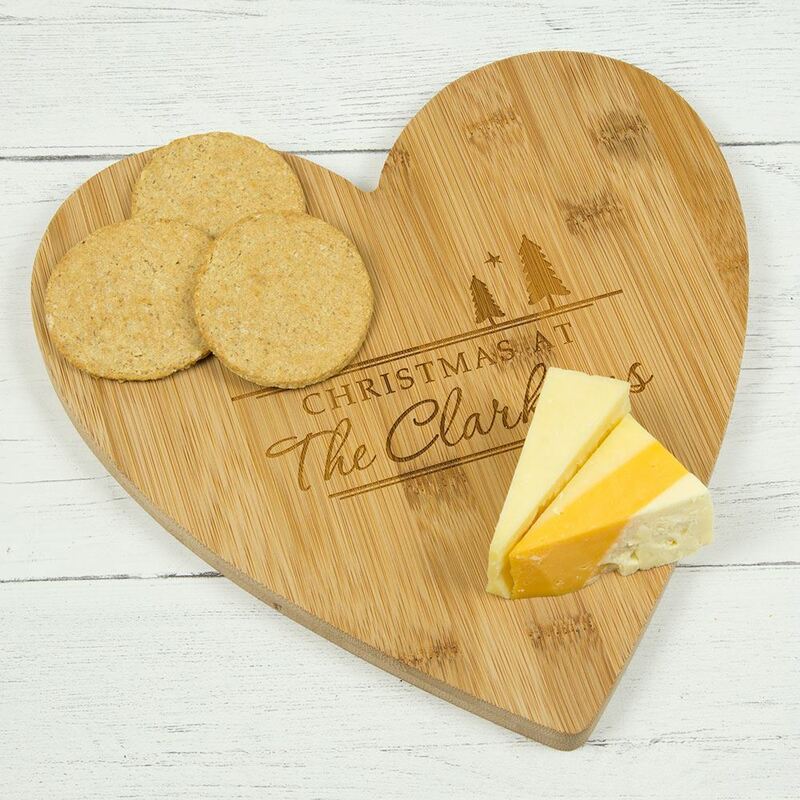 Our large heart shaped bamboo serving board makes a great addition to your Christmas dinner table and can be used for cheese, mince pies, bread or condiments. 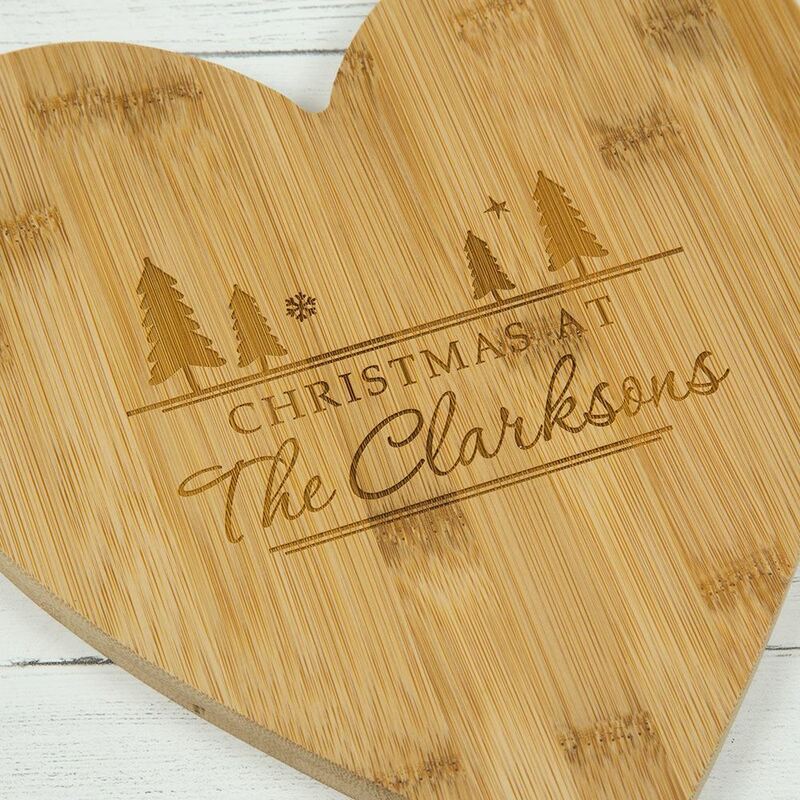 It comes personalised with the family name and a gorgeous tree design. 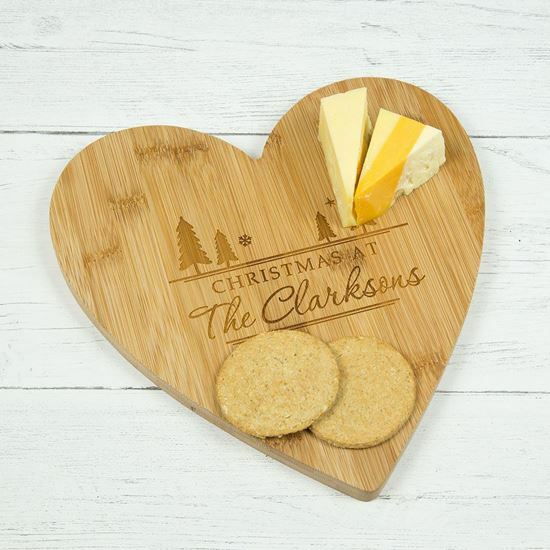 Each board measures 25cm x 25cm and is approximately 1.5cm thick.